As a small business owner, you are always looking for new ideas. You should use customer feedback and market trends to brainstorm new products and services frequently. If you can afford it, you should also consider attending a small business conference. This is a great way to network with other business owners and generate new ideas. 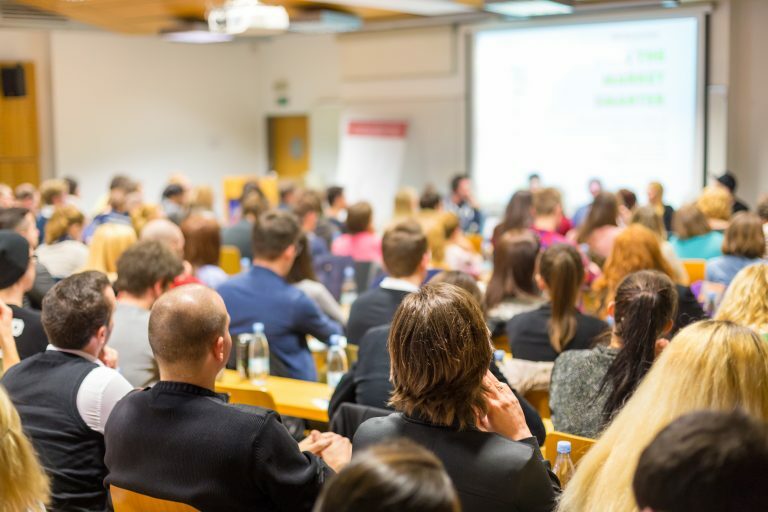 Here are the top five small business conferences to look out for, whether you own a home healthcare business or a tech startup. Small Business Expo is free to attend and appears in 14 different cities in the United States. If you operate a business near any of the major metropolitan areas in the U.S., you can attend the Small Business Expo. It is held in different months depending on the city, so you can even go to several of these expos. Small Business Expo claims to be the largest business-to-business (B2B) trade show and networking event. So there is surely something for everyone at one of their conferences. It includes over 20 workshops, over 100 exhibits in each market and over 3000 attendees in each industry. If you are looking for biggest small business conference and want to avoid paying an entrance fee, the Small Business Expo is the one for you. Currently in its 10th year, ICON is a small business conference aimed at entrepreneurs or business owners who run a business. It takes place annually in Phoenix, Arizona in the month of April. The conference is hosted by Infusionsoft, a private company that offers a sales and email marketing platform to small businesses. They offer over 30 educational sessions with six different keynote speakers. Over 4000 entrepreneurs attend ICON annually. It is very affordable compared to other small business conferences, starting at $299 if you book your ticket early. If you are looking for a small business conference aimed at entrepreneurs, consider going to ICON next year. The 99U small business conference is held in New York, New York. The conference is tailored to hard working entrepreneurs with a plan. The 99U event has over 16 keynote speeches. In addition, they offer many 75-minute master classes from some of the most prominent businessmen and women around. If you are an entrepreneur who wants to learn how to make their idea a reality, the 99U small business conference is the place to be. South by Southwest, more commonly known as SXSW, is an annual trade show in Austin, Texas. Usually held in March, SXSW has been going on for almost 30 years. They offer an interactive learning experience that includes film, music and technology. This small business conference is a must for young entrepreneurs in the music, technology or film industry. It embraces innovation and creativity. The cost of attendance ranges from $650 to $1750, depending on your industry and when you book. Original attendees claim the event has gotten too big. However, that just means there are more businesses, including some of the best franchises for women, for you to network with. If you want a small business conference aimed at youthful industries like film, music and technology, you have to go to SXSW. America’s Small Business Summit is held in Washington, D.C. by the United States Department of Commerce. This small business conference is designed to discuss the relationships between business and government policy. The annual June event highlights how public policy can impact private business. The event even allows attendees a chance to meet with members of Congress. The three day event includes over 50 speakers in a variety of topics. Some of those frequently discussed include innovation in business, advocacy and policy and small business management. The non-member registration fee for all three days is $625, which may be a bit steep. However, discounts are given to students, groups and U.S. Chamber of Commerce members. If you want to learn about how your business could be affected by government policy, this small business conference is for you. This small business conference is a relative newcomer to this list, but mentioned for good reason. The NextGen Summit is aimed at millennial entrepreneurs. Millennials will soon outpace any other generation in numbers. It is worth engaging this audience even if you are not part of this generation. NextGen is a little smaller than other small business conferences in this list. However, the conference offers online viewership in addition to in-person attendance. It is an event for young entrepreneurs organized by young entrepreneurs to learn about everything from payroll funding to office safety. In 2015, The NextGen Summit helped startup companies raise more than $1 million and helped dozens of partnerships form. If you are a millennial entrepreneur or are looking to partner with one, you must attend The NextGen Summit. If you are considering attending a small business conference, you must first decide what you want to get out of it. There are a number of advantages. You get to network with business owners, of course. You also have the opportunity to listen to speakers who can inspire you and attend workshops that may motivate you to design a new product. Each small business conference listed here is aimed at a slightly different audience. Decide which event would most benefit you. Use this post to narrow down your options.